When you own a home, it can seem like there is a never-ending list of tasks you need to complete. From cleaning to regular maintenance, it’s easy to get behind and let certain responsibilities fall by the wayside. However, ignoring minor problems now can lead to expensive damage later on. Doing these small tasks now can help you save tons on home repairs down the line. Leaking faucets and pipes can wreak havoc on your water bill, the structure of your home, and the environment. By fixing leaks when they’re minor, you can stop wasting water and lower your water bill by about ten percent. If you ignore the leaks, however, the water will seep into the floors, walls, and the foundation, eventually costing you thousands in water damage repair in Alpharetta. Leaky faucets can easily be fixed on your own, though you may need a professional to handle other types of leaks. Rainwater can also cause quite a bit of damage to the home. Periodically check the roof for signs of leaks, especially around openings like chimneys, skylights, and exhaust flues. Be sure to inspect roof beams and joists in the attic as well. 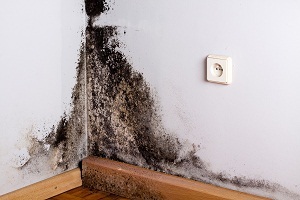 Dark spots, visible holes and cracks, pooling water, and mold growth all indicate a potential leak. Don’t forget to check the gutters, too. Gutters that are clogged with leaves and debris can cause water to back up and damage the roof. Clean your gutters every year and contact a professional to make any necessary repairs to the roof. Take a look at the foundation and any concrete slabs for signs of fissures and cracks. When concrete cures, it shrinks and can eventually develop cracks. Even the smallest of cracks can open the house to insects and water, causing even more harm. Small fissures can easily be repaired by homeowners following a short trip to a home improvement store. Large cracks, however, will need to be handled by a professional. By taking care of the cracks early on, you can save tons in home repair costs down the line.